It Must be Spring. New Software Keeps Blossoming. This past week, I took a break from working on “Henrietta’s Legacy” to get a head start on blog posts for the coming month. It’s called juggling, I think. I’m committed to doing another NaNoWriMo (National Novel-Writing Month) Camp in April. I’ve set a goal of 30,000 words in 30 days. That’s low for NaNoWriMo veterans, but it’s a goal I’m sure I can reach. It’s entirely possible to write 1000 words a day, every day, so long as I do not let myself get distracted by other activities, like doing the laundry or grocery buying, or planting tomatoes, or keeping a blog up to date. One way I can keep my work focused is to have a backlog of blog posts ready, so once again I’ve been exploring and evaluating new writing programs. Today, I have new editing software that promises not just to correct one’s existing manuscript but also to make the user a better writer from now on. Sounds good, right? I bought it, downloaded the program, and ran it on the first completed chapter of the new book. The program offered a whole set of grades, and most of mine were not passing. Imagine: this old English teacher, with thirteen published books, FAILED the grammar section. Horrors! I’m really bad at this! At first, I was angry; then I started to realize that the program has its own definition of grammar, which includes typos, extra spaces between words, spelling variations, and missing punctuation. I’m still not very good, but I can attribute at least some of my mistakes to fat fingers and blind typing rather than pure ignorance. But first things first. The program is called ProWriting Aid. That’s what it is, of course, although the title is not very catchy or memorable. This is a serious program, written by experts, and their advice does not come cheap. But then, no editing software will cost you as much as an editor would. A free version exists, but it has several limitations. It can only handle 500 words at a time. If you have a manuscript with 100,000 words in it, you’re going to spend a whole lot of time chopping it into 200 pieces and then loading them, one at a time, into the free version. I opted for a one-year license at $50.00 that does not limit my file size. This version works from within several different writing programs, like Microsoft (both Windows and MAC) and Scrivener. I tried it with Scrivener and found that it works extremely well—much more smoothly than Grammarly, which requires a certain amount of cutting and pasting even in its most expensive form. Next, I considered the topics covered. The first shot at analyzing a chapter is called the “Summary.” This includes scores in four key areas, along with the document statistics (number of words, etc. ), and a quick analysis of the main problem. Mine said my “glue index” was too high, and I had entirely too many sticky sentences. Now, I had no idea what that meant, but I would eventually find the explanations. But first, I had to make my way through an analysis of my vocabulary, sentence length, readability, dialog tags, pacing, transitions, clichés, consistency, diction, grammar, spelling, and style. Each heading gave me scores, numbers of corrections needed, and a comparison to all other users of the program. For example, my readability level was a 73, which, it turned out, corresponded to the average sixth-grade reading level. It also said my readability score was better than 78% of all other users. By the time I finished reading the whole summary, I was convinced that I needed to make major improvements. But where were all these problems and mistakes? So far, I had just seen final scores. To locate individual errors, read the explanations, and make corrections, I needed to run the program again, and again, and again because the program covers just one issue at a time. Next time, I’ll tell you how the correction process worked for me. 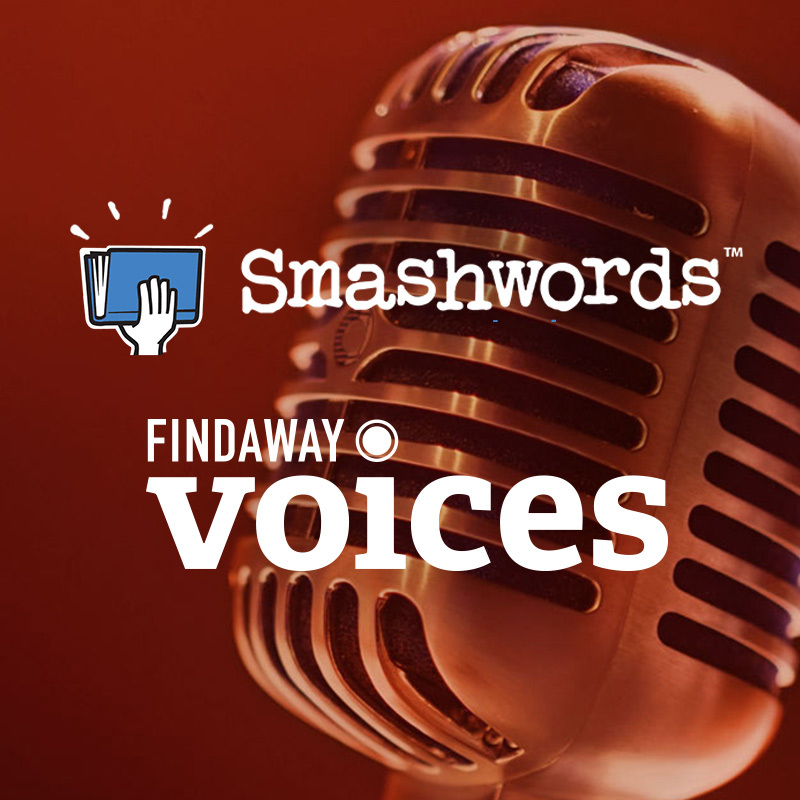 "Smashwords entered the audiobook market via a partnership with Findaway Voices. Over 100,000 Smashwords authors and publishers now have convenient access to audiobook production and distribution services. The agreement gives authors and publishers greater control over audiobook pricing, rights, and distribution, and all without exclusivity or lockups. Effective immediately, you'll notice audiobook creation options integrated into multiple stages of the Smashwords publishing workflow. The new feature is visible in the Smashwords Dashboard, and also accessible at https://smashwords.com/audiobook. "Start Your Audiobook Production Today. With a single click, you can instantly deliver your ebook and metadata into the Findaway Voices platform, at which point you’ll choose a password for your Findaway Voices account and begin the audio production process. Your first step is selecting a professional narrator. You'll answer a short questionnaire at Findaway Voices about your audiobook’s desired emotional tone; the accent, dialect or gender preference for your narrator; the voice style; the heat level of the book; and information about the book’s main characters. "The Findaway Voices casting team will then use this information to recommend a curated list of six to ten professional voice actors for your consideration. Recommendations will include audio samples and hourly rates for each narrator. From this list, you can request audition samples where narrators submit sample readings of your book. There is no cost or obligation during the audition process. "Production begins after you select your narrator and sign off on the production contract. You will pay production fees directly to Findaway Voices. To assist your budgeting, here are some rough guidelines: Fees are based on the number of hours and minutes of the finished production. Each hour of recorded content comprises roughly 9,000 words, which means a 26,000-word novella might run about three hours and a 100,000-word book would run about 11 hours. Narrators typically charge between $150 and $400 per finished hour. Global Audiobook Distribution: When production completes, you'll control all rights to the audiobook. You'll also have the option to distribute your audiobook to Findaway Voices’ global network of over 20 sales outlets including Apple iTunes, Audible, Scribd, OverDrive and Google Play. Findaway Voices will pay you directly." She's Gone and Done It Again! Yes, I have done it. I’ve signed up for another marathon writing session at Camp NaNoWriMo. I know! Every time I do this, I say “Never Again.” But when writing drags, this is one of the best ways I know to get back in the author groove. This year, I have started writing the sequel to last year’s novel, Henrietta’s Journal: A Life of Compromise. The new book moves ahead twenty five years to 1861 and the beginnings of the Civil War. I’m about 30,000 words into what will probably be a 110,000-word novel. I won’t come close to finishing it in April, but I’m hoping to add another 30,000 words so that I can say the first draft is over half-way finished. Can I do 1000 words a day? Sure! Easy, provided I manage to get the seat of my pants into the seat of the chair every day. But that is the problem, of course. It is spring, and my office is hot and stuffy. There are other things I'd rather be doing, like planting tomatoes. I am covering some unfamiliar territory, so I need research breaks. A friend wants to meet for lunch. You've heard the excuses before, and you'll hear them again. But somehow, I am determined to make myself do this. And if all the silliness and hype of NaNoWriMo helps me do it, GREAT! As March comes to an end, I’ll go to the grocery store to stock up on Hershey's Kisses, which will become my rewards. I’ll lay in a supply of frozen lunch entrees so that I won't be tempted to go off on some wild cooking spree in the middle of my writing day. I’ve already checked the house and replenished supplies of toilet paper, kleenex, bottled water, toothpaste, cat food, stamps, printer cartridges, sticky notes, and colored pens. I am not taking any chances on being lured away by a desperate need for one of life's essential elements. I’ve cleaned the house (well, most of it! ), tossed out some penicillin-producing left-overs, and paid all the bills. I pulled the weeds and dead blossoms off my little row of front porch planters and poured this month's supply of baking soda, vinegar, and boiling water down the drains to make sure they don’t clog up on me. I’ve tackled my writing office, blowing away the month's accumulation of cat fur, emptying the trash, picking up cat toys, finding all my vital reference books, and bringing my new April calendar up to date with the deadlines I have set myself. What else do I need before the marathon starts? I have a Camp NaNoWriMo shirt in the closet, just waiting for the big starting date. The NaNoWriMo camp counselors randomly assign participants to writers' cabins, but this year, I’ve joined a private cabin made up of other successful writers and FaceBook friends. I am eager to get to know more about my cabin mates. These are the people to whom I will report each day as we strive to see who could get the most done. So I’m ready, I think, Bring on the campfires! Here's the other side of the discussion on Goodreads new giveaway practices. I haven't tried it, so I will simply post both sides and let my fellow authors decide. With the introduction of the new Goodreads Giveaway program, authors who publish their books via Kindle Direct Publishing are, for the first time, able to run ebook giveaways and get up to 100 copies of their book into readers’ hands. This has opened the door for thousands of authors who were previously unable to take advantage of the popular giveaway program when it was available for print books only. While giving away print books remains an option at both the Standard and Premium level, giving away Kindle books comes with its unique advantages. Authors only pay for the listing, not the books being given away. Whether you choose to give away 1 ebook or 100, it costs $119 for a Standard Giveaway and $599 for a Premium Giveaway. Goodreads automatically delivers the ebooks to winners at no additional cost, meaning you don’t have to pay for those ebook copies. Authors can give away up to 100 copies per giveaway. To get more people talking about your book, you need to get more copies into readers’ hands. Traditional publishers have been running large giveaways with 25-100 winners each to help create many bestsellers over the years. But for authors who run print book giveaways, the cost of the books and shipping can quickly add up. Some authors have limited their giveaways to just one or a handful of winners, and missed an opportunity to create even more buzz. With Kindle book giveaways, that additional cost is no longer a concern for authors who publish via KDP. Authors can get up to a hundred copies of their book into readers’ hands, just like the largest publishers can. Winners receive the book instantly. While winners of print books can expect their book within 2-3 weeks, winners of a Kindle book giveaway can start reading the book immediately after they win. This means they’ll finish reading the book sooner and may post a review sooner as well. Run a Kindle book giveaway for 1-2 weeks to get a much tighter turnaround on driving buzz around your book. Authors can use Kindle Notes and Highlights to promote your giveaway. One creative new way authors can promote their Kindle Book Giveaway is by incorporating Kindle Notes & Highlights. By signing up for our KNH Beta for Authors (just send us an email at KNH-beta@goodreads.com), authors can highlight their favorite passages in their book and share them on Goodreads. One creative strategy: Run a Kindle Book Giveaway right before publication and encourage winners to share their annotations on Goodreads to get their friends talking about your book leading up to publication day. Depending on the timeline, budget, and goals, a Kindle Book Giveaway might be the more convenient and cost-effective way to promote your book on Goodreads. Click here to learn more about running giveaways to U.S. residents and here to find some Best Practices for Giveaways. How to find a reputable agent from "Writer Beware"
Finding an agent is difficult because there are a lot of really great agents, but there are hundreds of amateurs, and agents who are here today and gone tomorrow. There are probably just as many who are borderline or downright dishonest. Those are the ones that urge you to get your manuscript edited before submitting it, or who charge an upfront fee. The key is never assume all agents expressing an interest in your manuscript are reputable. I know this because a watchdog group called Writer Beware has a list of more than 300 dishonest agents, maybe more by now. Yes, it is part of the Science Fiction and Fantasy Writers group, but it is definitely a great resource when you are a writer. Unfortunately, it is almost impossible to break into one of the big five publishers without an agent when you are a debut author. If you’ve got lots of sales under your belt, and a large, solid platform, it isn’t as difficult, but it is best to have a reputable agent represent you regardless. Your agent is the one who will make sure the contract is good for you and will explain the small print. So study and research agents, what they do, how they do it, and search out their reputations. To get a good list of agents who work with your genre, go to your library and research Literary Marketplace (US based). Other books to search include: Writer’s Guide to Book Editors, Publishers, and Literary Agents, and Guide to Literary Agents. I’m really not sure about Australia and the United Kingdom, so search and research. Look for complaints and reviews online about every agent you put on your list. Make sure the agents on your list work in the same genre you write. This is an extremely important key that a lot of writers ignore. Without the right key the publishing door remains locked. Make sure the agents are members of Association of Authors’ Representatives and in the UK Association of Authors’ Agents. Do a bit of extra research on agents that are not members. Reputable agents don’t have to be members, but you should check out the reputations of those that are not. Requiring a reading fee with a submission. Requiring writers to buy a critique or manuscript assessment. Running a contest that’s a scheme for funneling writers into a pay-to-play scheme, such as a paid editing service or a vanity publisher. Placing clients with fee-charging publishers.